-Most followed Mascot in the Country on Facebook with 145K followers (3 times 2nd most followed mascot & 15 times most other mascots) with viral videos in the Millions & 10’s of MILLIONS! 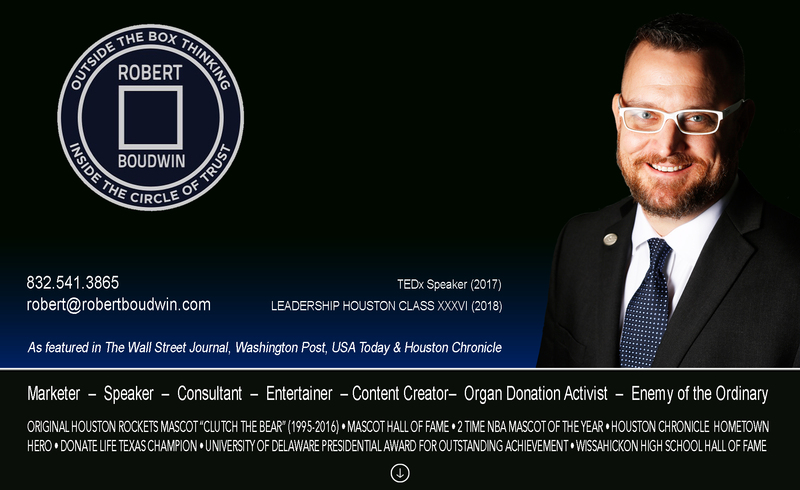 -Has run Houston 1/2 Marathon “In Full Gear” as his Teddy Bear self for organ donation awareness 3 years (2014, 2015 & 2016). Has run over 100 “IFG” miles cumulative for various causes, charities, and Rockets/Community events. PICTURED HERE WITH OLYMPIAN & WORLD CHAMPION MEB KEFLEZIGHI DAY AFTER THE HOUSTON MARATHON 2015.